The Motorola EX226 is a dual SIM candybar phone.It has a 2.4-inch. 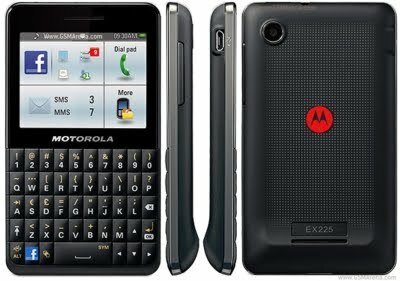 The Motorola EX226 also comes with a 3.15-megapixel camera. It able to support microSD cards of up to 32GB.